As usual, click the image for a bigger version. Strelitzia – genus named after the duchy of Mecklenburg-Strelitz. Why? Known as the Bird of Paradise flower or the crane flower. Pollinated by birds, who perch on the spathe. Their weight opens and releases the pollen onto the bird’s feet, which is then deposits on the next flower it visits. The bird-of-paradise flower, or crane flower as it is sometimes known, was first introduced into Britain in 1773 by Sir Joseph Banks, then the unofficial director of the Royal Gardens at Kew (as they were known at that time). 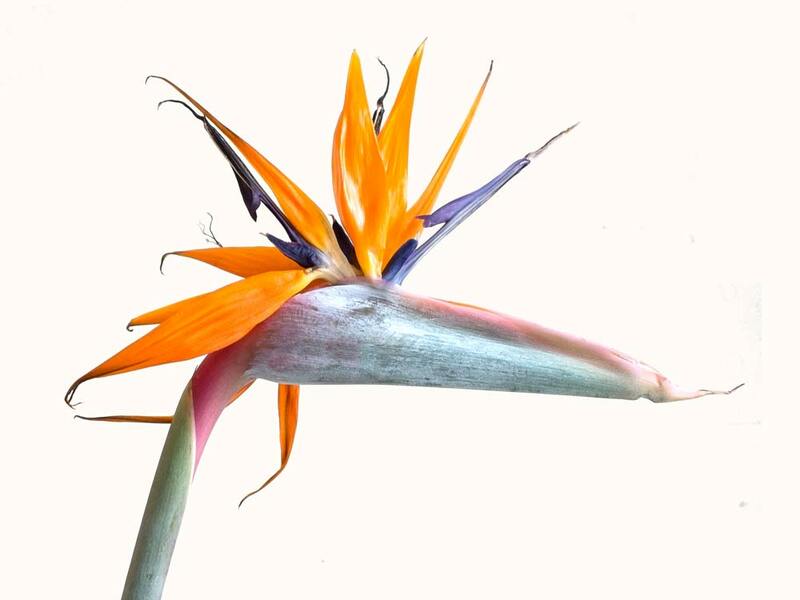 He named the exotic-looking plant Strelitzia in honour of Queen Charlotte, wife of George III and Duchess of Mecklenburg-Strelitz, who lived at Kew for many years. Very aptly named! Where did you find this one? We used to have these growing in our front garden at our previous house. The plant was enormous. A beautiful flower and a wonderful title.